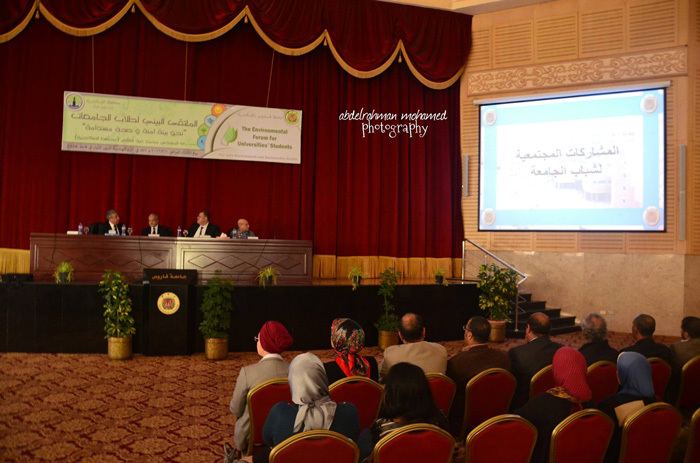 Within the framework of community participation, Pharos University organized an environment forum for the University students, entitled “Toward a Secure Environment and a Sustainable Health”, on Tuesday the 1st of March 2016, in the Great Conference Hall of the University. 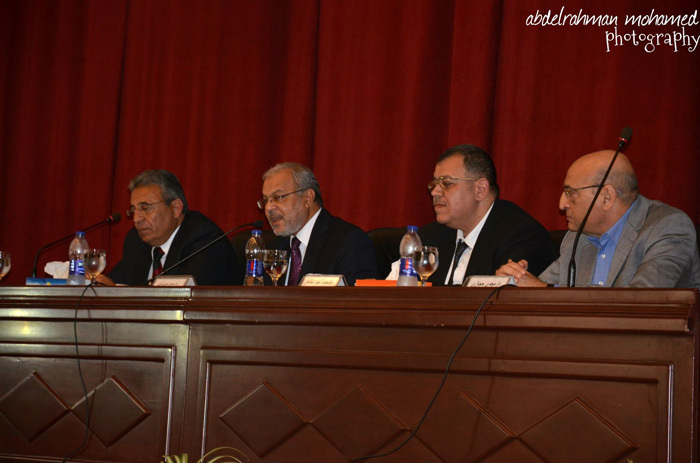 Professor Mahmoud Mohy El Din, President of Pharos University, attended the forum and delivered a speech about the University’s concern with the community participation. Moreover, Professor Ramadan Abu El-Ella, Acting Vice President of the University for Community Service and Environmental Development, has shed the light on the importance of the students’ participation in community service and environmental development, and on the University’s concern with the students’ experiences in this area. 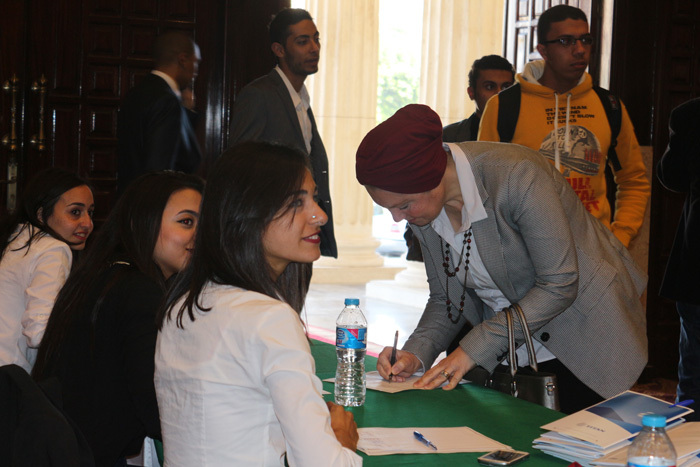 A large number of the faculty staff members, teaching assistants, companies’ chairman, and the students participated in the forum. Furthermore, a number of specialized projects in the environmental field and community development were reviewed by the companies’ representatives and the students.